There are common causes of both back pain and neck pain. Changes in the spine’s anatomy often cause back pain. There may be a disc herniation, degenerative disc disease, osteoarthritis or sacroiliac joint dysfunction. Disc herniation occurs when the gel-like interior of the disc leaks outward and irritates the nerve roots. It typically causes a stabbing pain in the back as well as referred pain down one of the legs. Wear and tear on the spinal discs can lead to lumbar degenerative disc disease. It causes low-level back pain and stiffness. Osteoarthritis is a wear and tear of the facet joints in the spine. Friction can cause a pinched nerve from osteoarthritis. And when the sacroiliac joint has too much or too little motion, it can cause lower back pain due to the tightening of the muscles around the joint. Muscle strain is a common cause of neck pain. It can be due to sleeping in awkward positions, a whiplash injury or poor posture. Other common causes of neck pain include osteoarthritis, degenerative disc disease and herniated disc – many of the same things that can happen in the low back. Back pain and neck pain can range from moderate to severe. You may feel like you have to “live with the pain” but there are many things that can be done to reduce or eliminate the pain, including manual, or hands on therapy. The two forms of physical therapy are passive treatments and active treatments. Passive treatments for neck pain include soft tissue massage, joint mobilization/manipulation, dry needling, and stretching. These treatments help reduce pain, inflammation and stiffness. Active physical therapy treatments include home exercises, stretches, and foam rolling/self myofascial release. By engaging in active exercises with a physical therapist, strength and flexibility are improved in the neck, and the muscles become less tight and painful. In addition, stress on the cervical spine is reduced. Many people think that you must see a doctor and have an X-ray or MRI performed to determine the cause of the neck or back pain before you can get treatment. That is NOT true! It is much more efficient and cost effective to see your physical therapist first. The tests and exams we do in clinic will allow for an adequate diagnosis and treatment that results in quick, long term pain relief. Doctors will often end up prescribing Physical Therapy as the end result anyways. 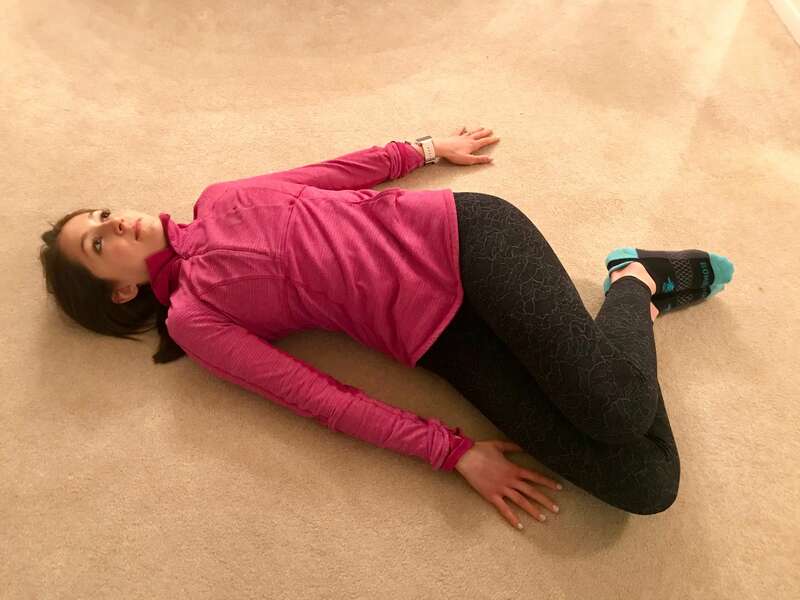 Supine Lumbar Rotation: lying on your back. gently drop knees to each side until a gentle stretch is felt. Repeat x 10 repetitions to each side. 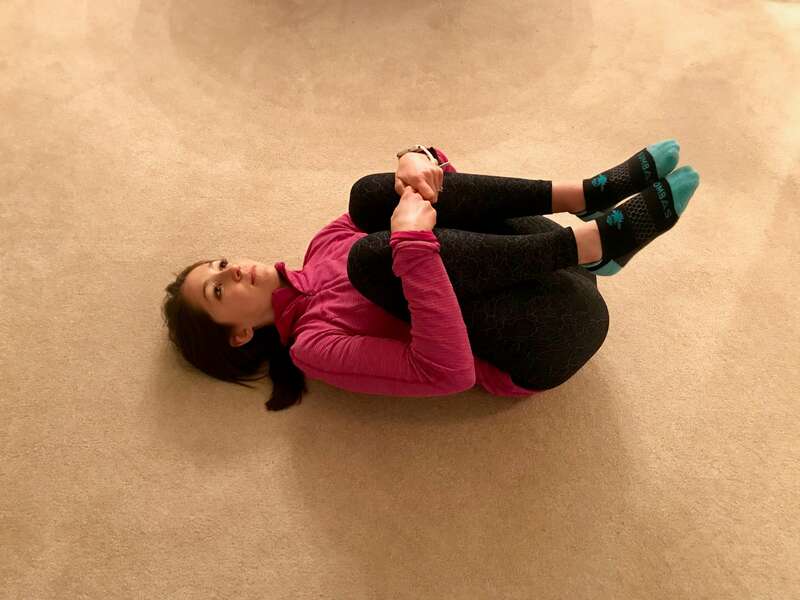 Knees to chest: gently squeeze knees into chest; if a pinch is felt in the front of your hips, bring knees out to the side slightly. Hold for 10 seconds, and repeat 5-10 times. Transverse Abdominis Activation: lying on your back, engage deep/lower abdominals as if you’re squeezing into a tight pair of pants. This is also the muscle that engages as you cough or laugh – so try doing that to find it! Placing your fingers right inside your hip bones will help, as engaging the muscle pushes your fingers out. Hold for 5 seconds, and continue to breath; relax and repeat x 10 reps. This muscle acts as an inner back brace, so engaging it as you move from laying to sitting, in and out of the car, or lifting, it will support your back. Why suffer when physical therapy can give you pain relief? Contact our Minnetonka & Wayzata, MN physical therapy offices today to see how physical therapy can help you live a pain-free life.